The Gonzales County Sheriff’s Office was established immediately after the Republic of Texas organized with the first elected Sheriff being Matthew Caldwell. Curiously enough it was Caldwell also known as “Old Paint” who is given credit for burning the town of Gonzales while under orders of General Sam Houston, this in front of the advance of the Mexican troops after the fall of the Alamo. The thirty-three men who have served as Sheriff of Gonzales County are a mixed lot. Most went into the office with little or no experience in law enforcement although several were former deputies, a former chief of police and a state peace officer. Several including Caldwell and Henry McColloch became renowned Indian fighters and Texas Rangers. 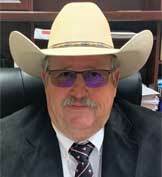 Historically, the Office of Sheriff in Gonzales County has not been held by one man for a great number of years. Sheriff Little Orron McGinty and Sheriff Glen Sachtleben both served 18 years in office without interruption while Sheriff D. J. Brzozowski served a total of 21 years but with a 10-year separation between his first and second term. These are the three longest serving Sheriffs in the history of the Office. It is interesting to note that an unusual number of Sheriffs served multiple terms, sometimes separated by only a few years and some with as long as a 20-year separation in service. Gonzales County has lost one Sheriff who was killed in the line of duty, Richard M. Glover who died June 14, 1901, shot by Gregorio Cortez. 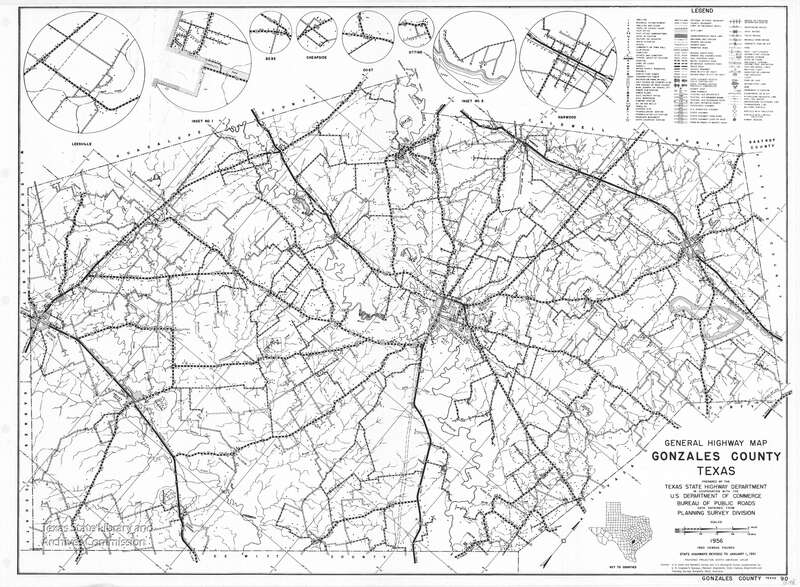 The Gonzales County Sheriff’s Office has never been a large Office. It existed for years with only one or two paid deputies with many un-paid deputies being commissioned around the county. It wasn’t until the late 1950’s when a two-way radio system was installed giving the Office countywide communications. Prior to that there was a lighted pole located on top of the jail and a klaxon horn that was utilized to call in a deputy in time of need. By the early 1970’s new “hi-band” radios were obtained and a teletype system was installed along with hiring of the first paid dispatchers. In the mid-70’s a new jail was built, replacing the 1890’s “old brick jail” and outfitted with then state of the art communications systems. By the 1990’s the inmate population and the office staff had outgrown the Sheriff’s Office facility and a new complex was started in 2000. Beginning in the mid 1980’s the Sheriff’s Office began to modernize and grow as did most law enforcement agencies of that era. By 1985 there were 24 hour a day, 7 day a week patrols throughout the county (prior to this the Office was only operational during the day and until midnight on Friday and Saturday nights). There was a separate investigator’s position created. In the 90’s the Office continued to grow in staff with additional divisions being created, a civil process division and a narcotics division. As the Office moved into the 21st century, new technologies were embraced; a new, comprehensive, data system that combined data with not only the jail and law enforcement but the courts and the District and County Clerk’s offices as well. Wireless data terminals were installed in the patrol cars providing interagency communications and data sharing along with ticket writing capabilities. The radio systems were also upgraded to meet and exceed all modern requirements. Additionally, vehicle graphics have been updated along with new uniforms designed for both patrol and jail to create a professional and citizen friendly appearance. Today, the Gonzales County Sheriff’s Office, under the command of Sheriff Matthew J. Atkinson is a completely modern public service organization. It’s equipment, staffing, training and function is friendly, efficient and reliable.